So you’re a rocket scientist? That doesn’t impress me as much as some stuffed pepper cooking skills. If you’re looking for those mad skills, come get ’em. While you can slow cook or even grill stuffed peppers, we’ve found that baking them the old-fashioned way is the way to go. 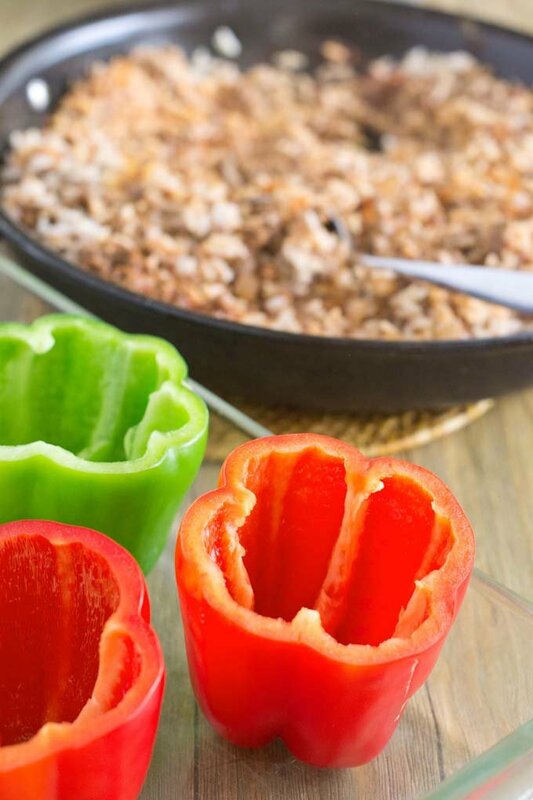 There are two types of fillings (cooked and uncooked) and two ways to cut your peppers (whole and halved, which we show you how to do in Basics of Cutting Peppers). This equals four different filling-to-pepper combinations. Yay math! 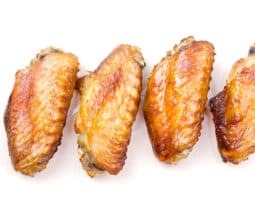 All four combinations require different oven temperatures and times. 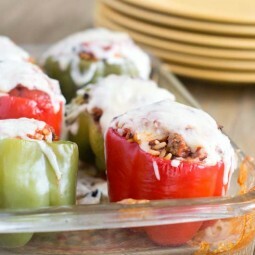 So pick out a recipe and scroll down to find how to cook your perfect stuffed pepper. 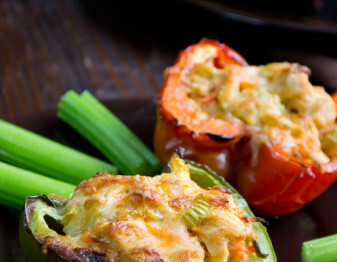 This is the most traditional style of stuffed pepper. 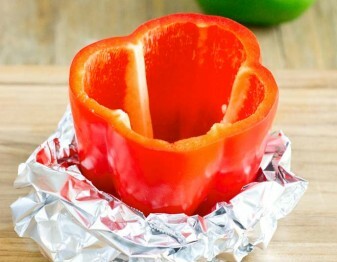 You remove the top of the pepper and then fill it with a fully cooked filling. Stuffed whole bell peppers are a two-step process; cooking the filling then cooking the peppers stuffed with the filling. Once the filling is cooked and stuffed, the only step left is to slide them into the oven. You can bake them at 450°F for 25-30 minutes, depending on the size of your pepper, or if you prefer your pepper on the softer side, try dropping your oven temperature down to 350°F and bake for 45 minutes. Alternatively, you can pre-cook the peppers for a few minutes in boiling water to speed things up. 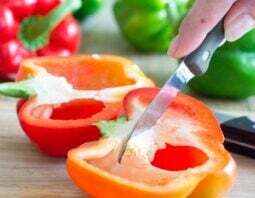 A quicker-cooking alternative is to cut the peppers in half to stuff them. These have less filling and therefore take less time to heat through. We found that the perfect temperature for baking these peppers is fast, hot heat. We recommend 450°F for 20 minutes. It cooks the pepper while leaving an al dente feel. If you added oiled bread crumbs on top of your pepper, they will benefit from this high heat, adding a nice brownness to the tops. The stuffing will be fully heated as well with this method. However if you prefer your peppers softer, try baking them at 350°F for 35-40 minutes. It’s possible to stuff peppers with a raw filling. If you’re stuffing a whole pepper, it takes awhile to cook because the filling needs to reach a safe temperature. Out of all the stuffed peppers, this one takes the longest to cook because of its size. To avoid drying out the stuffing, we suggest skipping the high heat and bringing your temperature down to 350°F for upwards of an hour. As always, use an instant read thermometer for all meat products (160ºF for a stuffing containing ground beef and 165ºF for a stuffing containing ground chicken, ground turkey or pieces of chicken). This is our least favorite way to do stuffed peppers though. The filling isn’t usually at its best and neither is the pepper. Note, do not put uncooked carbs (pasta or rice) in this pepper. It will not cook because it would require more water than the pepper could possibly contain. You’ve gotta stick with meats and vegetables here. If you want to go with an uncooked filling (so easy! Just mix and stuff) your best bet is the halved pepper. 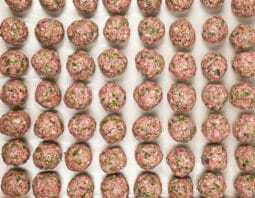 Make sure that any meat stuffing is either ground or cut up small to ensure even cooking. Also, don’t pack the filling in there. You want a nice loose amount of stuffing that just comes to the top of the pepper, not overflowing. 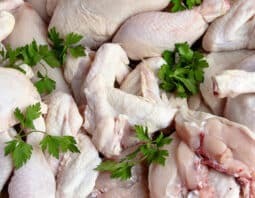 Cook them quickly at 400°F for 20 minutes, although you should always test your meat with an instant read thermometer (160ºF for a stuffing containing ground beef and 165ºF for a stuffing containing ground chicken, ground turkey or pieces of chicken). 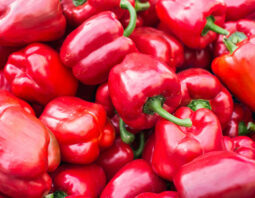 For softer peppers you can bake at 350°F for 35-40 minutes. There you have it. Four ways to bake stuffed peppers depending on how you want to cut them and on the rawness of your filling. 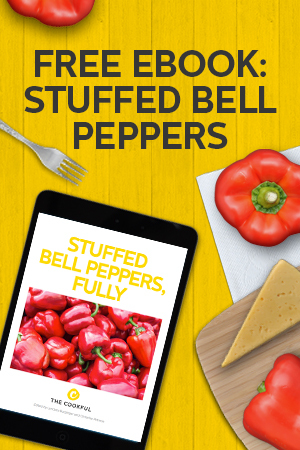 I’ve read almost 20 different ways to make stuffed peppers! I wanted to cook something very simple. I have to say” there is nothing simple about cooking stuffed peppers!”. Why does there have to be SO many different ways? I’m going out on a limb, and, cooking the filling first. Then, putting tin foil over them for 60 minutes on 350. Then, taking the foil off and when they are done, putting more tomato sauce on them. If it doesn’t taste good, I’LL THROW THEM AGAINST THE WALL! That’s great, Jackie! Can you tell us, did yo use raw ground beef and raw rice or did you cook them both first? Was there any tomato sauce or any other liquid in the mixture? Cheese on top? It would be great to know what you did. Thanks! Dont make something easy difficult. I use raw 85% ground meat, cooked rice and my secret ingredient. Bake in tomato soup and cut up potatoes for 1 1/2 hr at 350 degrees. Thanks for the tips, Amber. Sounds delicious! Huh, I just use our old meatloaf recipe, stuff halved green peppers, brush with tomato sauce, and bake at 350 til done. I guess I’ve been doing it wrong! If they taste good, I’m pretty sure you’re doing it right! Glad came across your site. Glad you gave different time and tempertures was always a little confused on that. I especially loved the version on cooking raw meat or uncooked. Keep recipes coming. Thanks, Mary! The recipes will continue to flow for sure! The way I make my stuffed peppers is with a precooked filling. The filling is ground hamburger, ground Italian sausage, chopped onion, chopped garlic, onion powder, garlic powder, salt, pepper, shredded mozzarella, chopped real mozzarella, and 4 cheese tomato sauce. I sauté chopped onion and chopped garlic, then add hamburger and sausage, then add seasonings to taste garlic powder, onion powder, salt and pepper. Once cooked I let cool then add shredded mozzarella and chopped real mozzarella, and 4 cheese tomato sauce. When filling peppers I alternate sauce, shredded mozzarella, chopped real mozzarella and filling mixture until peppers filled. I then cook at 350 degrees for 1 to 1 1/2. With 20 minutes left I add more cheese to the top. 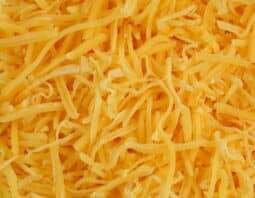 We like ours cheesy!!!!! Sorry I forgot I add cooked white rice to the filling as well.